Blurb: Behind every great Aussie Rules player, you're likely to find that a good dog helped him succeed. Footy Dogs features over 100 players from all sixteen AFL teams and over 210 stunning photos of their loyal woofers. Along the way, the mutts and purebreds are interspersed with short essays by Ron Barassi, Trisha Broadbridge, Sam Kekovich, Michael Millett, Lynda Carroll, Diego Maradogga and many more. Find out which player's dog wears pink nail polish, who peed on the photographer and discover the identity of the player who guzzled the church's altar wine. 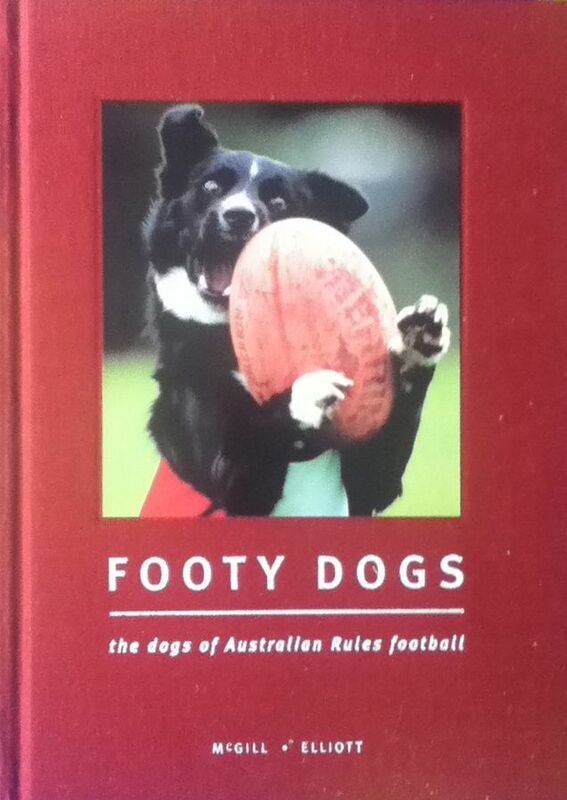 Footy Dogs is a photographic journal of stunning photos and great yarns - created all for the love of dogs and footy.